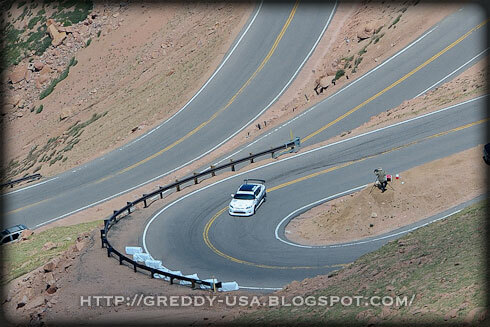 As part of a two car Scion Racing effort at this year's 90th running of the famous Pike's Peak International Hill Climb, the GReddy X Scion Racing turbo tC challenged the Exhibition class in the "Race into the Clouds." 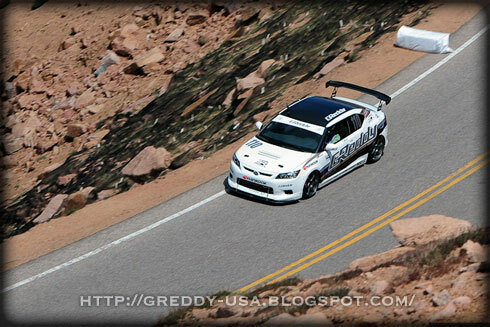 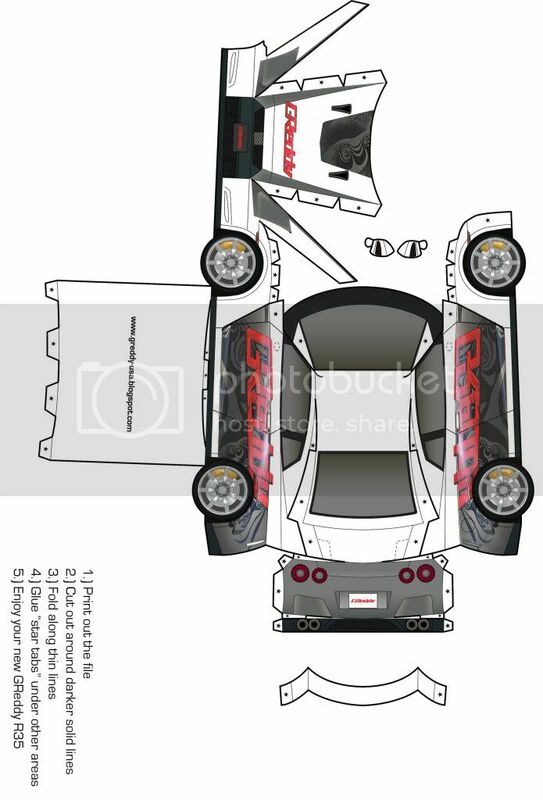 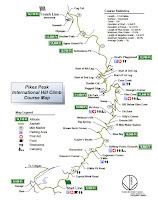 The Aug 12th, 2012 PPIHC was the GReddy X Scion Racing tC & Takeshi Aizawa's 1st time running of the full course. 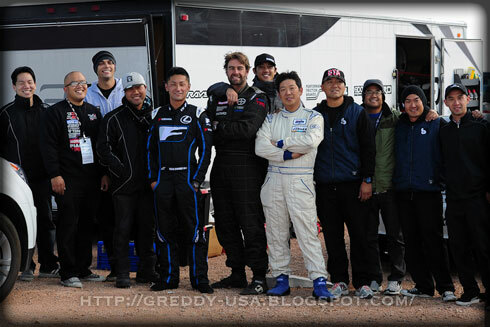 Takeshi (a GReddy R&D technician and Ken Gushi's Formula D spotter/mechanic) joined the more experienced Andrew Comrie-Picard ACP in the tramac-spec, GReddy turbo'ed Sparco RallyxD and Ken Gushi in the Lexus CCS-R in successful run up the 14,110ft high, 12.42mile course. 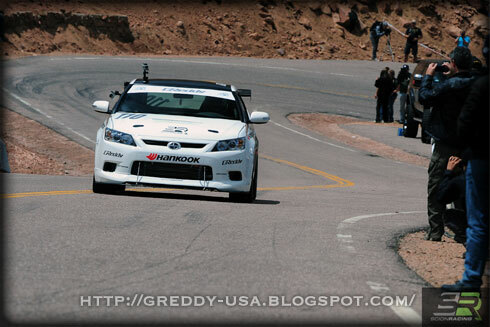 Takeshi got faster and faster every time in the car, especially towards the top of the hill. 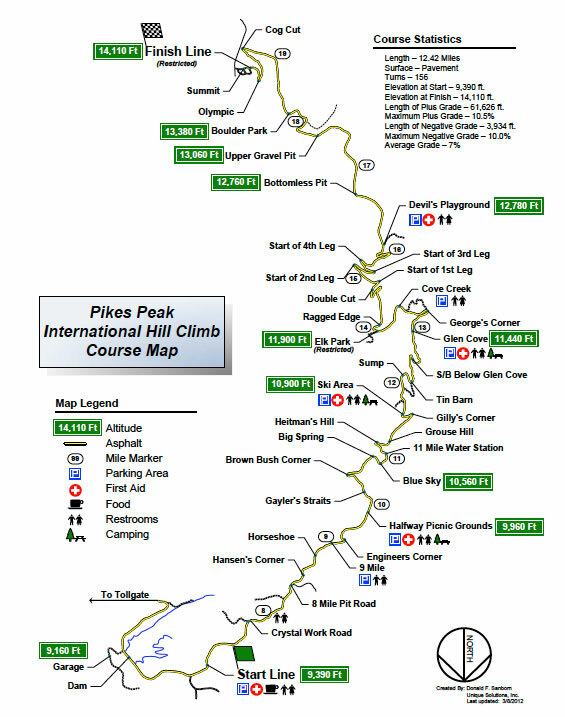 Finishing the course in a respectable 12:08.60. 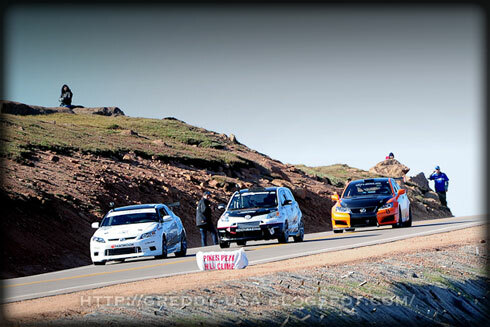 Look for more photos and video coming soon from the Scion Racing team. 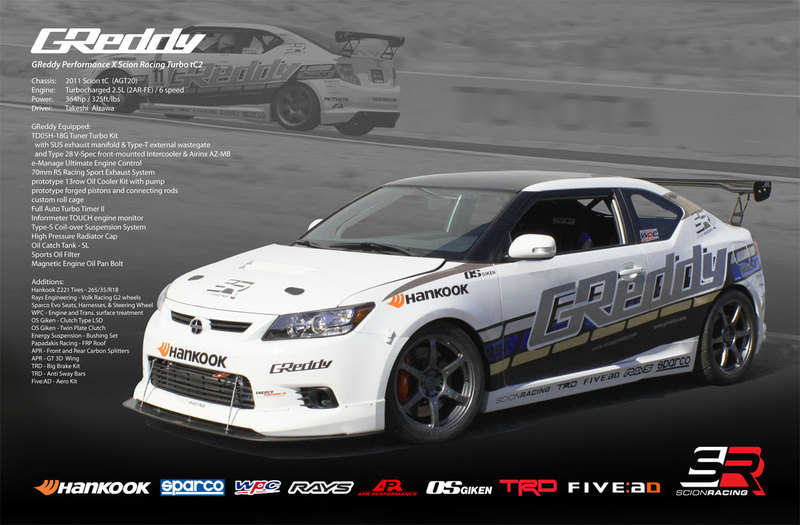 For more on the GReddy Turbo tC please see our tC page.